The Eko Atlantic City Development Project (www.ekoatlantic.com) is the seaward reclamation project along about 7 km of the coastline of Victoria Island, Lagos, Nigeria. 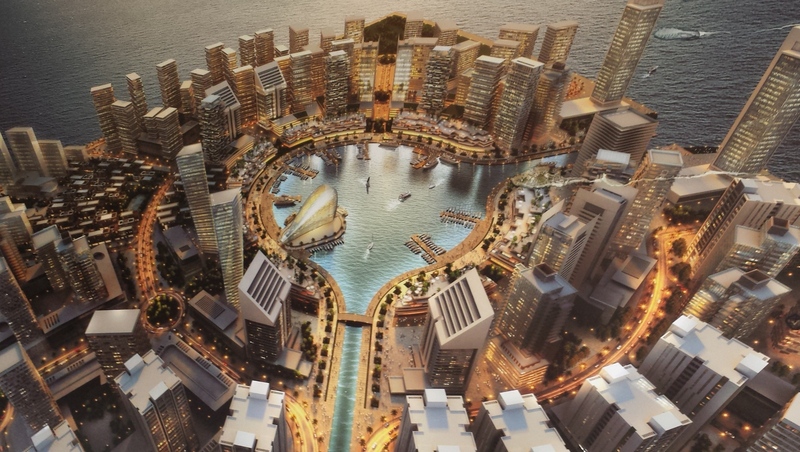 The Eko Atlantic scheme is provided with a canal system, serving both for drainage purposes as well as for marine navigation with crafts, yachts, and ferries. The Commodore Channel is the single entrance to the Lagos Port system and, as a consequence of this, the marine traffic in the channel is dense. CDR has been requested to provide a hydraulic, nautical and navigational assessment on the impact and risk aspects related to the design of the Eko Atlantic canal connections to the Commodore Channel. Specific advisory documentation has been prepared related to the in- and outlet canal openings of Eko Atlantic, required for waterway transport in the Eko Atlantic City. The studies entail mainly navigational advice on the basis of the envisaged hydraulic circumstances and the proposed lay-out of the openings.